The 2018 Dunlop MSA British Touring Car Championship saved one its best until last as Ash Sutton won the final race of the season by just 0.032s from Josh Cook. An incredible battle between Power Maxed TAG Racing’s Cook and outgoing Champion Sutton had the huge crowd on its collective feet as the duo ran side-by-side and swapped positions on several occasions. Cook looked to have held off one of his best friends in the paddock going into the final corner, but Adrian Flux Subaru Racing’s Sutton had other ideas. Sutton ran his Levorg around the outside of the Vauxhall Astra through Clearways and in an incredible drag race to the finish the #1 car stole the victory in the closest finish of the season. The astonishing final podium of the year was completed by DUO Motorsport with HMS Racing’s Rob Austin – himself less than a second behind Sutton – as the hugely likeable Alfa Romeo driver took his second rostrum of the year. 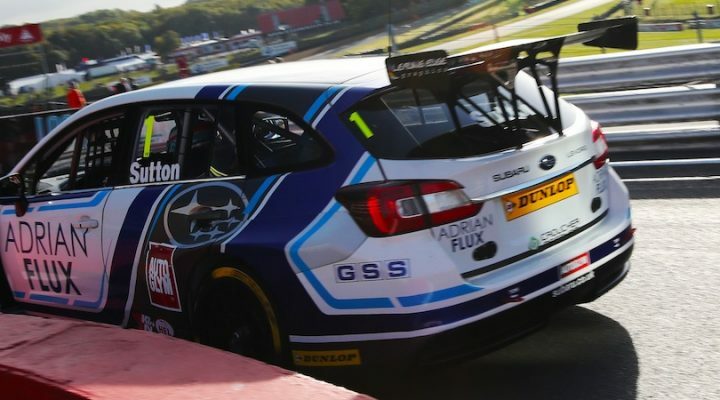 Tom Chilton narrowly missed out on a 50th BTCC career podium as the Team Shredded Wheat Racing with Gallagher man had to settle for fourth at the finish, although he did secure his top three place in the overall standings. An emotional rollercoaster of a day for Tom Ingram ended with yet another top five finish as his runner-up place in title was confirmed, as well as Independents’ titles for him and his Speedworks Motorsport squad. Sam Tordoff was sixth for Team GardX Racing with Motorbase, whilst Senna Proctor rounded off another solid day with seventh – also completing a successful showing for Power Maxed TAG Racing. BTC Norlin Racing duo Chris Smily and Daniel Lloyd claimed top order finishes with eighth and tenth respectively, whilst BMW Pirtek Racing’s Andrew Jordan was wedged between them.